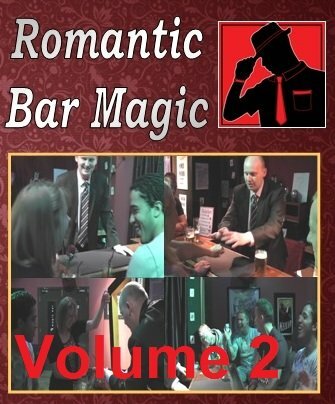 More romantic themed magic that can be performed at weddings, on valentine day or close-up at restaurants and bars to couples on a date. Many of the effects are suitable for parlour, as well as close-up and there are multiple live performances for all the tricks, filmed at Illusions Magic Bar before a full explanation. My version of five card repeat, with a surprise ending. A thought-of playing card appears inside a heart shaped balloon. Two people think of two objects from a list, then you read their minds. The spectator makes a heart pendant spin and swing in their own hands. A ring vanishes and appears inside a rose. A unique take on the ambitious card with an anniversary waltz ending. Hearts vanish from the cards and appear on the spectator's card. 1st edition 2014, length 1 hour, 46 minutes.